Difference between revisions of "Forum:Discord collaboration, guides and links"
This thread was archived on 21 April 2019 by Salix of Prifddinas. Note: despite my history of great ideas around April 1st, this is actually a serious proposal. Hey guys! I'm making this thread to discuss how the wiki interacts with the sprawling web of RuneScape-related Discord servers, particularly specialty/strategy-oriented Discords. I think we have a really cool opportunity to work with some of these communities and incorporate their deep knowledge about specific parts of the game, onto the wiki. In case you recently got out of a coma (or prison), Discord is a chat app where individual communities can create servers for their members to chat in. The wiki has one with about ten thousand members, there are official RS/OSRS servers, a lot of clans have 'em too. In the last year or so, Discord has become the dominant place for people to chat about RuneScape, to the point that it's probably on the same level as Reddit or the wiki or YouTube in terms of community importance. Here's my attempt at a semi-exhaustive list of RuneScape-related Discord servers. The focus of this thread is on the servers that I think of as "knowledge-based": groups that are dedicated to doing one thing really well, and have honed strategies for it. On RuneScape 3, the most prominent examples of these are high-level PvM groups ("PvM Encyclopedia" for general stuff, "Elite Dungeon Teams", "Solak FC", etc), but there are other areas like Ironman Mode ("Rs3IronScape"), Barbarian Assault ("BA Teams"), speed running, and others where there's a tight-knit community that's really good at that particular thing. They have tons of tribal knowledge (sometimes written down, sometimes not) about mechanics and strategy for these things. Because comparatively speaking, our PvM/Ironman/minigame strategies are usually way below standard. It's widely acknowledged in the RuneScape community that the wiki's high-level strategy guides are not the best around, and they're sometimes years out of date. The people in these Discord servers are the experts at these particular bits of content, and if we can cajole and incentivize them to put their knowledge on the wiki, then some of the biggest weaknesses of the RuneScape Wiki can just be “fixed”. I think this is plainly desirable: PvM, Ironman and other strategy guides have been near the top of our todo list for years, but they've never really gotten done because we just don't know enough. Wouldn't it be better to recruit the people who live and breathe this stuff? Contributing to the wiki doesn't align with their incentives, and doesn't help their community. That first issue can be partially resolved by reaching out to these groups (which I've been doing), and gauging their interest level in contributing to the wiki. I've never encountered anyone who was outright opposed to helping the wiki, but that's a far cry from getting them to go write guides today. That's where the second issue comes into play: these groups really like the wiki (and boy do they use it extensively), but their main priority is to grow their own community on Discord. Contributing a guide to the wiki doesn't really help with that, and in some ways it might even hurt. Because of this, some of these guys are apprehensive about writing for the wiki. So here's my proposal: Under certain conditions, if one of these communities contributes a strategy guide to the wiki, we would "partner" with them and put a small Discord widget on that article, linking to their Discord server. This completely changes the incentive structure, and at least with the folks I've been talking to, immediately gets them on board to contribute anything and everything. The PvM Encyclopedia guys already created a Nex AoD guide (eventually meant for mainspace) that is miles better than what we had before. Over on OSRS, there is a speedrunning guide that has a link to the relevant Discord, and nobody seems to mind. These Discord links are genuinely useful to the players: whether it's for setting up teams or getting some specific advice, it makes their lives a little bit easier if they know where to go (and believe me, not everyone knows about these Discords). It's a nice "thank you" to the community that's maintaining the page, but it's also just a good thing to have regardless. It solidifies our relationship with these specialized communities. and may well bring in a lot of new editors for things besides the strategy guides. I was really pleasantly surprised by how quickly the PvM Encyclopedia guys took to editing (they were even reading the style guide! ), and Merds uploaded a bunch of expensive dyed item images that we got from them. This is an awesome way to get some good people closer to the wiki community. Isn't this against policy? What are the risks? Sort of: that's why we're having this thread. There are aspects of this proposal that don't really line up with current policy in RS:PDDA (and possibly RS:OWN, depending on how you judge this). I don't think this breaks the "no ownership" rule: the person (or group) that contributes this guide to mainspace doesn't have any more control over the page than anyone else, even if they maintain it. 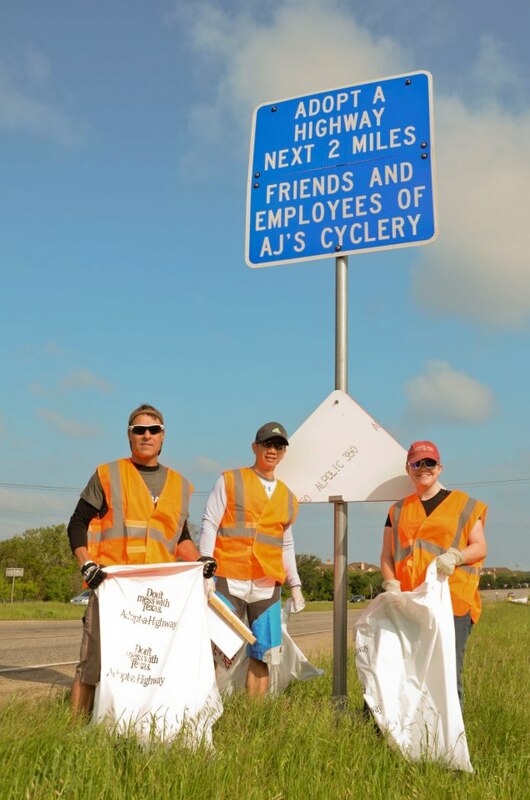 I like to think of it sort of like the "Adopt-a-Highway" program that's popular in the United States: if you take responsibility for keeping a section of highway clean, the government will put up a sign with your organization's name on it. It doesn't mean you suddenly own the highway or control at all what other people do on it: it just means you did something nice, so you get a very tiny incentive. The more concerning policy is our rule against mentioning Friends Chats on articles, which has been in place for many years and mainly exists as a deterrent against edit wars. The most recent thread on mentioning Friends Chats failed largely because there was a lack of criteria for whether a chat would be considered "well established", and this could lead to edit wars and other toxic behavior that we want to stay out of. If we go in this direction for the strategy guides, we need a clear community approval process for deciding when we allow these links. I think most people would be okay with linking the PvM Encyclopedia if they were responsible for a really good Nex guide, but what's stopping some clan from making a half-assed guide for something so they can put their link up? This whole thing is very similar to how we (used to) do link exchanges (RS:LINKS) with other RuneScape fansites. Times have changed, and fansites aren't really the entities we should focus on working with now: people have moved over to Discord servers. The group should be acknowledged by the RuneScape community at-large as experts in a specific area, and should be in good standing with the community. The community on the Discord must help write and maintain a set of pages related to the Discord's purpose. Preferably, some of this should be written before the YG thread so we have an idea of what improvements we're getting. We aim for servers with at least 500-1000 members (refer to the spreadsheet! ), although that shouldn't be seen as a hard rule for niche servers (e.g. speedrunners). The Discord must be moderated, and follow the Rules of RuneScape. You'll notice a lot of these are somewhat subjective -- that's why we need the consensus process on top of it. These should just be some guiding principles, and everyone is free to interpret them how they want, or bring additional pertinent information to the discussion. Discord links added without community approval should be reverted. I hope this set of criteria is good enough to assuage some of the concerns about edit warring and notability. This feels like a really effective way to get useful specialized content on the wiki, provide something helpful to the readers, and maybe get a bigger tent of editors. It's a little bit different than what we've done before, but I think it will be successful if we can agree on how to choose who we work with. Very little of this proposal is set in stone: feel free to propose some alternatives. PvM Encyclopedia is a recognised Discord server for this activity. RuneScape Wiki does not control the content on this Discord server. Learn more about recognised servers on the wiki. This server passed a nomination on 5 April 2019. You can discuss on the talk page. Support - As long as we're actively checking the discord servers being linked to uphold the standards defined, I think this is a win-win situation. If the basis for your opposition is that these discord servers won't be interested in this, you're just wrong. I've already had discussions with the PvM guys, Achievement Help, ED3 (before today's incident), ironman groups on both games, speedrunners on OSRS, and Spine has talked to a few others like Volcanic Mine on OSRS. All of them were extremely enthusiastic and on board with this idea. It's not a fantasy, and I think they can speak for themselves better than you can. Comment - I know this was discussed in Discord the other day, so I'm just going to bring it up here too - the topic of also adding FC affiliates to relevant pages. Although yes, it would be harder to maintain a meaningful relationship with them due to the (likely) lack of offsite community, I think including them on pages would be quite helpful to readers. Penguin hide and seek, and Portables FC are the first to come to my mind here. 1. Beginner/User friendly. I'm not talking about 5-x's "tribe" mentality because this isn't very true in discord servers. The whole point of PvM Discord servers are that they're open to anyone who is interested in finding a team for the boss, and not necessarily for people who want to learn the boss. But the issue is that discord servers themselves aren't very good at teaching newbies and it's more luck-based on finding people who are willing to teach new people (which is hard to find). It might be rather daunting for a noob reading our strategy pages to join this discord server which completely overwhelms them. Is that our problem? Maybe not. There are exceptions: when Solak came out, a Solak FC + Discord server came out which was huge because so many people wanted to reclaim their completionist cape and no one knew strategies, so people were willing to go with anyone. It could be great to affiliate with a server on a new boss. 2. FCs linked with Discord Servers. By endorsing the discord server, do we endorse the friend chat? (eg "Deep Sea Fishing" --> "WhirlpoolDnD" FC). We may as well mention the FC then. 3. Community-approving servers. I'm a little skeptical about how we as a community are going to approve discord servers. I think this might not be a huge issue because there's only so many affiliates possible, but I'd like there to be big leniency for small growing unique servers (eg: Think if a Trouble Brewing Discord server just started up with people who are so knowledgable). 4. VIP channel (suggestion). I think it would be very worthwhile if we have a #vip channel on discord where we can invite specific members from our discord affiliates and we can discuss privately with them if we need to. Private discussion could be about affiliate status, discussion about how their server is going (eg is their moderation up to scratch), or even just a portal if they want help with something. I don’t want it to be “another admin chat” so I would heavily emphasise that there shouldn’t be any off topic conversation in it because then it just looks bad on us. Support - I certainly think this would benefit the community more than it would be a problem. But to do this, we will need people monitoring the pages to make sure that they are upkeeping. I would just be reiterating all of the wonderful comments already laid out in this post about my concerns, so for now I will say that I support this decision. Conditional Support - I like this idea, I really do, but I myself can only support this if the chats in question at (or us, the wiki, ourselves) least make sections on each guide that can be read by people not looking for a super-comprehensive thing. In other words, there's an in-depth thing and a dumbed-down version on each guide page; I say this because...oh, let's say I'm learning non-AoD Nex for the first time (personally never killed her without darts, myself, so would be accurate), but I'm the kind of person who has to follow a guide *as* I fight her. By the time I read one of the proposed guides, I'll likely die in the time I could have spent fighting Nex. So I guess this would kind of include tl;dr's of each affected guide, just for people who don't have time or don't understand the comprehensive stuff while also allowing those that *do* want that information to have it. I also see that this can be a win-win situation for both the wiki and the partnered discord. To be partnered that discord server should pass a let's say request for affiliated discord then it's okay as it was decided by the community to affiliate with that specific discord server. This would become a RfAD for short (since RfA and RfD are already taken, but RfAD isn't :P). It should also be possible to unpartner with a discord server in case something happens that's detrimental to the relationship with the wiki community and/or the RuneScape community at large. The banner that links to a specific discord should also have a link to the request for affiliated discord of that linked discord server so there won't be any miscommunication about why the discord server is linked. I still think we shouldn't add friends chats, but like Ty said if a partnered discord also has an friends chat then I too can be convinced to list the related friends chat(s) of that discord server. Support - As for the people asking about the vetting process, I feel like a similar process to how rs:title is awarded; a server is nominated, brief snippet of their specialty and why they should be chosen, and discussion. Closed - As the consensus seems to be that it is mutually beneficial, Discord servers can now be linked to from pages that that community worked on. This will be done with a template as shown above by Merds including a link to their Discord server as well as a link to the discussion during which they were approved to be a partnered Discord server. These discussions can be started here on the Yew Grove. Discord links added without community approval should be reverted. A server can also be removed as partner should it be necessary. This would also require a community discussion on the Yew Grove. The Discord must be moderated (by its own users, not by the wiki), and follow the Rules of RuneScape. To keep an overview, a page with a list of partnered Discords should be created and maintained to be up-to-date and be protected to some level so it cannot be vandalised. This page would need to include links to those discussions too (the application to become a partner and the discussion to de-partner the Discord server if that exists similar to the list of former admins). This page was last modified on 21 April 2019, at 02:59.